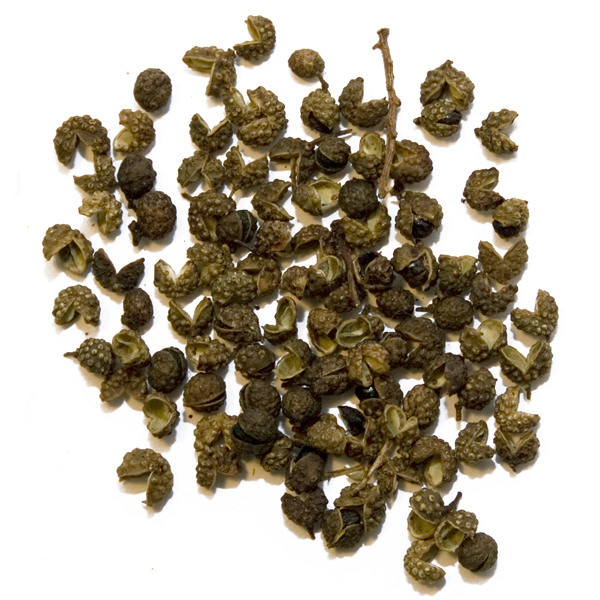 A pepper with an intense citrus aroma, a traditional part of Japanese cooking. 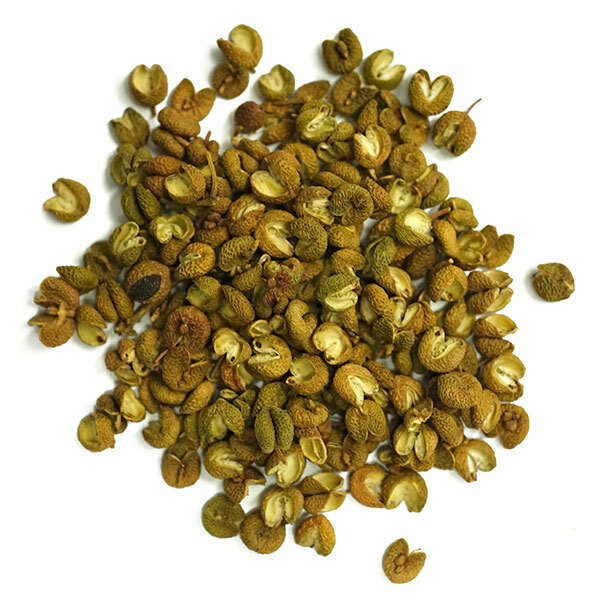 Sansho is a parent of the Sichuan Peppercorn and possesses similar anaesthetic properties, leaving a prickly, numbing sensation on the tongue when the peppercorn is cracked. Hot, floral, and lemony, it is found in a number of Japanese dishes, from the simple soup to the famous grilled eel, or added to many noodle dishes. 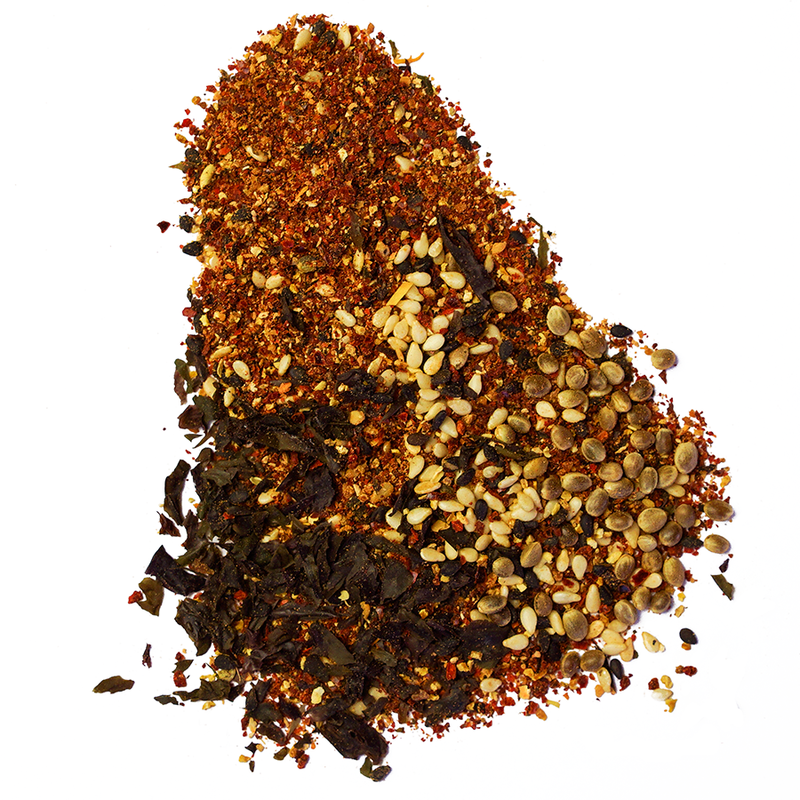 It is also one of the ingredients in Japanese Seven Spice, Shichimi Togarashi. 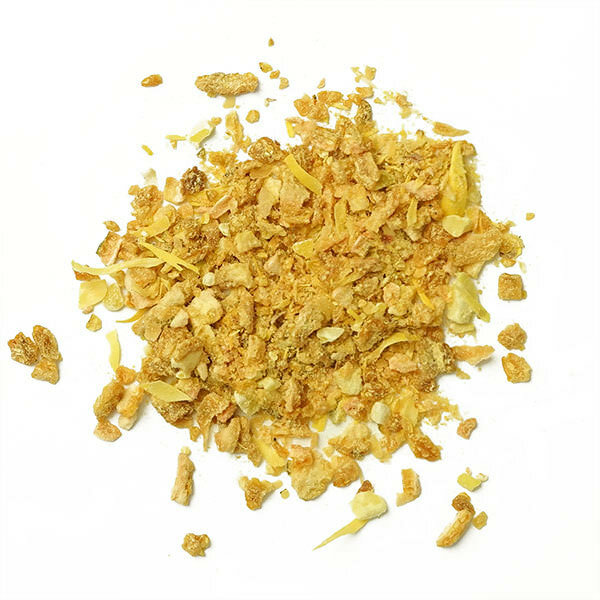 It pairs wonderfully with other spices like ginger and sesame, and it can fragrance anything from poultry, fish, and seafood of all kinds.
. It pairs wonderfully with other spices like ginger and sesame, and it can fragrance anything from poultry, fish, and seafood of all kinds.